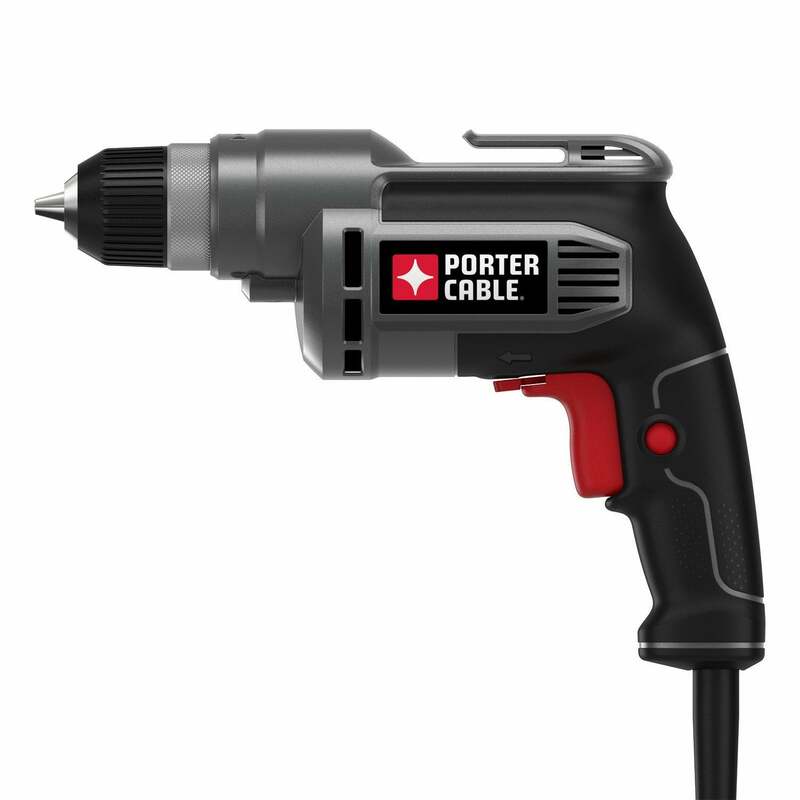 A versatile corded drill designed for home use. Speed adjustment. Stopper for maintaining speed. Keyless chuck. Extras: handle and hook. Reversible driver. Rattling. Average performance with screws. An affordable drill bit suitable for light-duty work. Variable speed. Built-in bit storage. Keyless chuck. May need an extension. Not suitable for heavy-duty work. A powerful drill designed for heavy-duty use. Strong performance. Variable speed (up to 2,500 rpm). All-metal keyless chuck. 1-year free service. Could be more balanced. Maybe too fast for light-duty use. 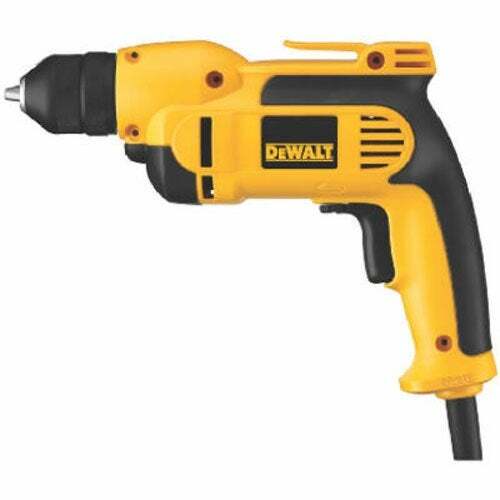 An affordable power drill with a powerful motor. Lock-on option for extended use. Speed up to 2,500 RPM. 3-year warranty. Belt clip. 1-year service warranty. The variable speed control could be better. A fast, single-speed drill suitable for basic tasks. Pros Keyless chuck. Up to 2,700 RPM. Does not have speed control. Power drills help reduce the manual labor involved in a DIY project. To help you choose the right power drill, we have created a detailed guide on what to look for when comparing products. We have also tested popular products and evaluated customer feedback to create a list of the best electric drills on the market. Corded drills generally have a greater power output as compared to alternatives. They are also versatile, allowing users to drill through wood, metal and other materials. Modern units are also designed with extended use in mind. So, you can find plenty of units that are lightweight and have trigger locks to allow continuous drilling without stressing the trigger finger. Cordless power drills are generally used for less-demanding tasks. An advantage of cordless drills is their portable nature. For bigger jobs, the battery’s power should be at least 18 to 20 volts. For household use, lesser power is usually enough. One of the main factors is, of course, how much power is enough for the types of jobs you have planned. 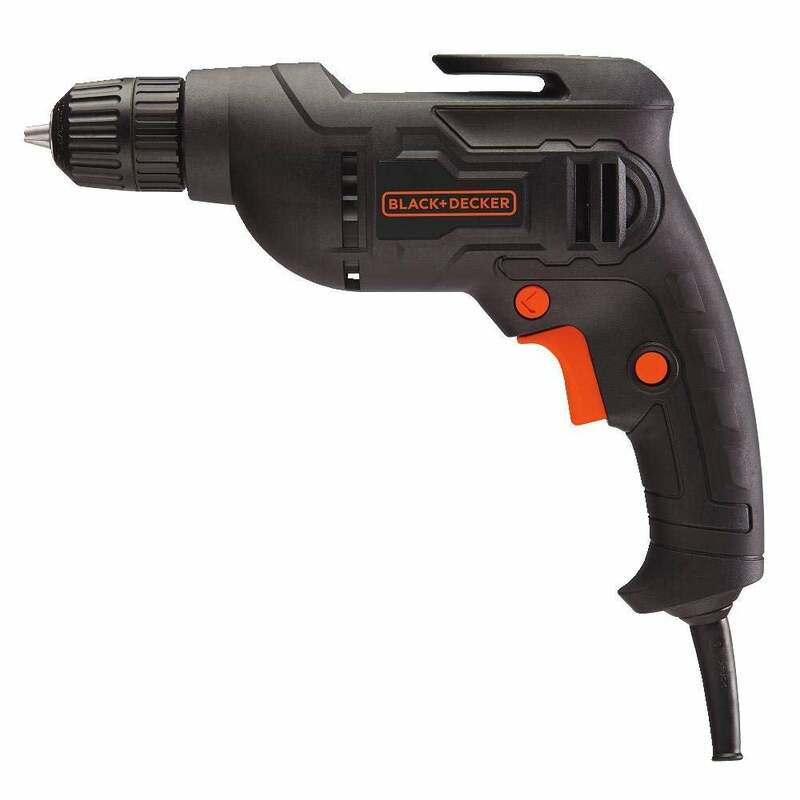 If you’re just looking for a screwdriver, then small cordless drill may be right for you. With corded units (like those featured here), an 8 Amp drill will handle most household tasks. Chuck is the part of the drill where you place the drill bit. The chuck will be either keyed or keyless. With the keyless chuck, you’ll be able to adjust it by hand (sometimes with even just one hand). If you need to frequently switch between drill bits, then a keyless model will make your job quicker. The standard sizes for bits are 1/4″, 3/8” and 1/2″. The 3/8” drill bit is good for home use because it can hold a variety of bits. Some jobs will need higher speed and lower torque while others will require the opposite. For example, metal and concrete will require lower speeds compared to softwoods. If the main reason for buying the drill is to drill holes, then a speed of 1000 RPM is typically enough. With an adjustable clutch, you will able to select the right speed for the job. However, don’t simply rely on the manufacturer’s description of the speed control options. Research customer feedback to find how the machine performs in real-world scenarios. Having an adjustable clutch will reduce the chances of the screw going too deep or the screw head getting damaged. There are two main drill types when it comes to grip position on the machine: the pistol grip and the T grip. As the name suggests, the pistol grip is at the back part of the drill. The T grip offers better in weight distribution as the handle is close to the middle of the machine. However, handle placement is not the only factor: the design of the handle is also important. You would want a comfortable grip that fits in the palm and minimizes vibration. It takes time and elbow grease to manually remove screws, but a drill with a reverse function makes this an easy task. So be sure to check to make sure the corded drill you select has a reverse function if removing screws is important for you. Length of the cord will vary from product to product. Check cord length to see if you will need an extension to use the drill. The price of corded drills will depend on their power, added functionality, and, of course, the brand name. For example, the Hitachi 6.0-Amp, keyless chuck, reversible, 3/8” drill costs a little over $100, while the Porter-Cable 6.5 Amp, 3/8″ drill” is under $50. Some manufacturers may offer free accessories with their products that will make your job easier, so look out for that as well. Many manufacturers offer limited and service warranties, so be sure to consider those items as you select the right corded drill for use in and around your home. Invest in some protective gear. With drilling, there may be various particles and dust flying around. The drill bit itself can also snap. Wear goggles, fitted gloves, and a mask to protect yourself. Avoid Loose clothing. Loose shirts, hair, and jewelry can also get caught in the fast-rotating bit of the drill. Guard against shifting and slipping. Before working, secure the piece so it doesn’t shift during work. Pre-drill holes in the piece. This will help reduce the chances of slipping because you will be applying less pressure inserting the screws into the holes. You can also use a punch to indent the wood. Before turning the power drill on, make sure that the chuck is properly holding the drill bit in its place. This will ensure that the holes made by the drill are straight. Also, don’t apply excessive pressure on the drill because this can affect the motor and cause slippage. How do you control the speed of the power drill? Check the product’s features to see if it has a trigger lock. Lock the trigger in place and then adjust the speed dial to increase or decrease the speed. If the dial has gears but no indicators (such as 200 RPM, 300 RPM, etc. ), then you can easily calculate the value of each gear by counting the total gears available and knowing max RPM. How does bit size relate to the work capability of the drill? A 1/4″ drill will be good enough for any light-duty work. A 3/8” chuck is the one widely used for jobs in the house. A 1/2″ chuck is suitable for heavy usage. What are most common types of batteries used in power drills and what are their drawbacks? The two main types of batteries used in cordless units are nickel cadmium and lithium-ion. Lithium-ion batteries are more desirable because of their smaller size and lighter weight. Lithium-ion batteries also offer good battery life: they can stay charged for a period of months when idle. Corded units can continue working as long as there is electricity to power the motor. The battery of cordless unit may not last the whole job, so, in the absence of a spare battery, you will have to postpone the work to charge the battery. Also, as mentioned before, the battery life may be different from what you expect it to be. You won’t have to worry about these things with a corded unit. Are there any additional features to look for in power drills? Some useful power drill accessories include a light to increase visibility, side handle points on both side of the drill to facilitate right-handed and left-handed use, and a hook to hang the drill during use and after use. 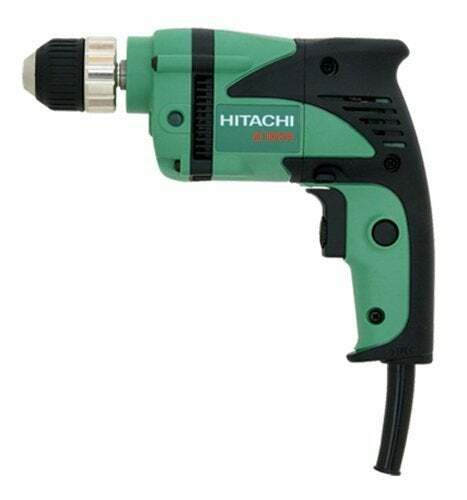 You can also combine your drill with other power tools, such as hammer drills and impact drivers. 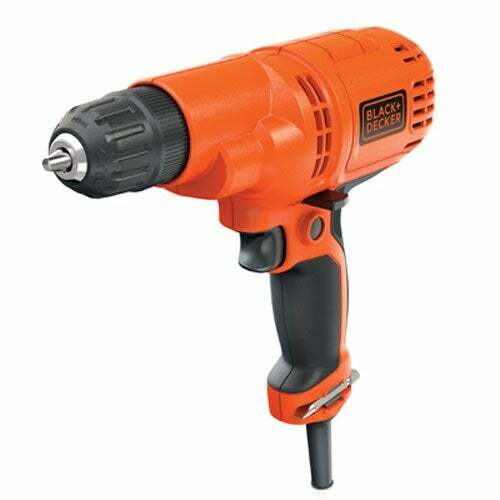 A hammer drill adds a pounding action to the rotatory action of a drill. An impact driver is designed for heavy-duty use, and it can impart more torque compared to a regular drill. These two forces allow you to quickly bore holes in masonry. Versatility and efficiency is prized in the power tool world, and we’re happy to report 5 of the best cordless drills that can get just about any job done—and done well. Our experienced team of research specialists analyzed the best spotlights on the market. Buying a gas chainsaw is intimidating. We've narrowed down the options for you in this comprehensive buyer's guide.